Mastering the law begins with a Juris Doctor degree. The Juris Doctor degree is a cornerstone of the legal profession and is required to practice law in Florida. Our full-time and part-time J.D. 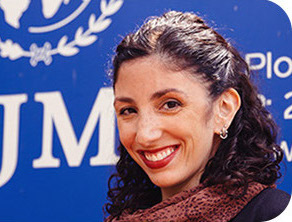 programs have prepared thousands for significant careers. At Stetson, you will gain the real experience needed to excel in your legal career from the nation's top-ranking law school for courtroom advocacy. You will be prepared through our rigorous academic curriculum, meaningful relationships with faculty and attorney mentors, and the responsibility you assume starting your first day of law school. "The practical, theoretical and experimental knowledge I gained from Stetson Law has enabled me to spread my wings in the legal arena in ways I could not have fathomed before beginning law school." 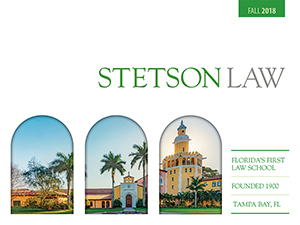 Admitted Students: Secure your seat at Stetson Law with a deposit payment. 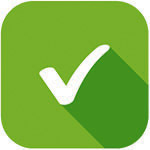 Review the requirements list and check the status of your admissions account. Admitted Students: Access enrollment information and other resources for admitted students.